Here we’re once again, happy for the arrival of new members to the Tarturumies family. 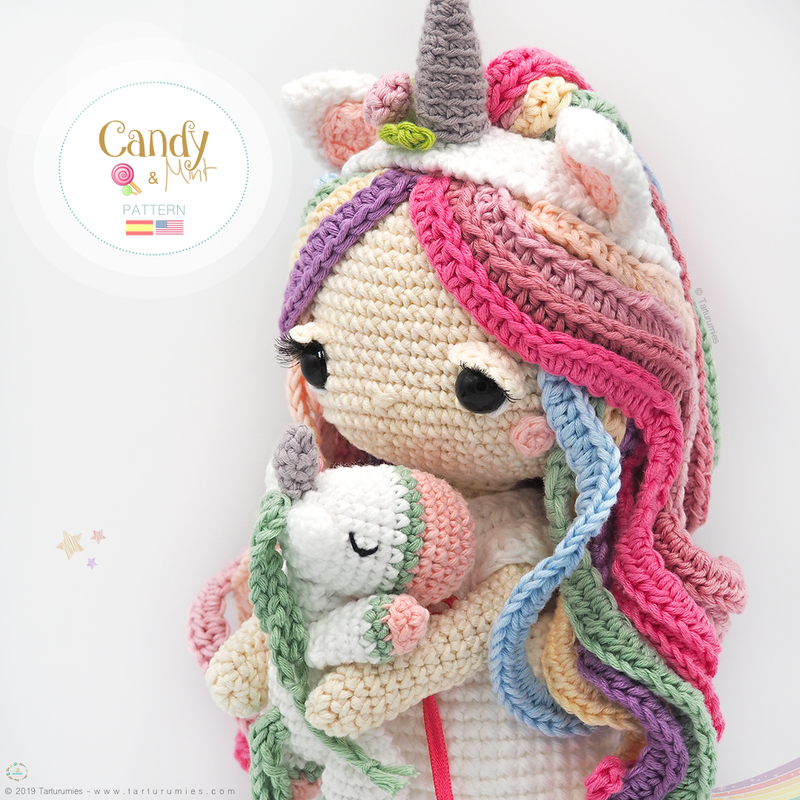 We’re pleased to present two little ones that are sweet fantasy, they’re … Candy and Mint! … Two very tender friends. A long time ago, there were extraordinary creatures called unicorns. His body was like horses and they had a magical horn in the center of his forehead. The unicorns had so much magic that they could not be seen by anyone they wanted, there were very few people who were lucky enough to get to observe them. Those who achieved it were people with a good and honest heart. 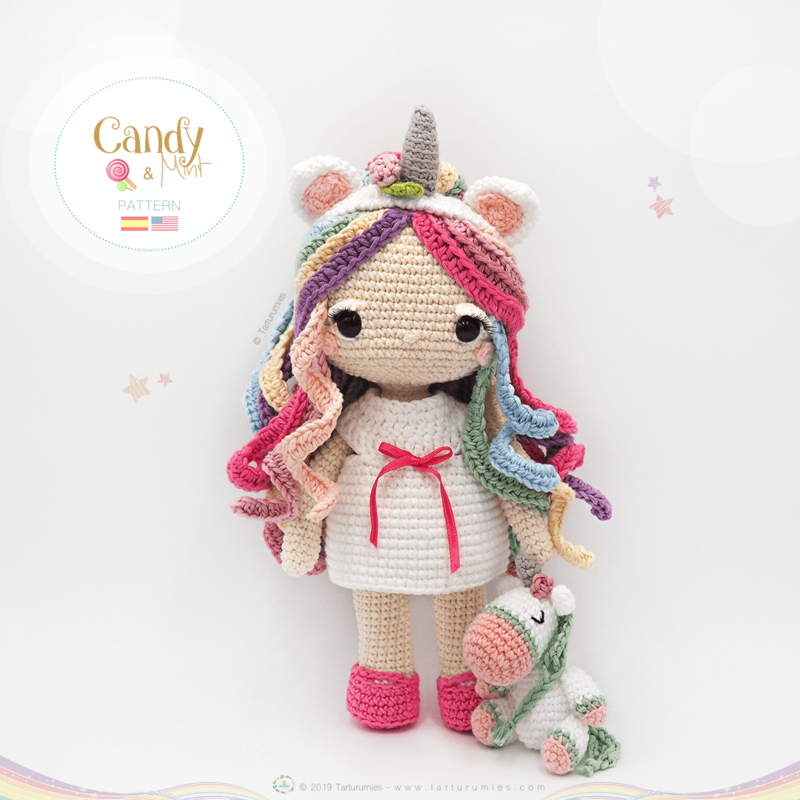 Our Candy with little Mint represent the symbol of freedom, strength, goodness, courage and power of magic that resides in people of good heart. 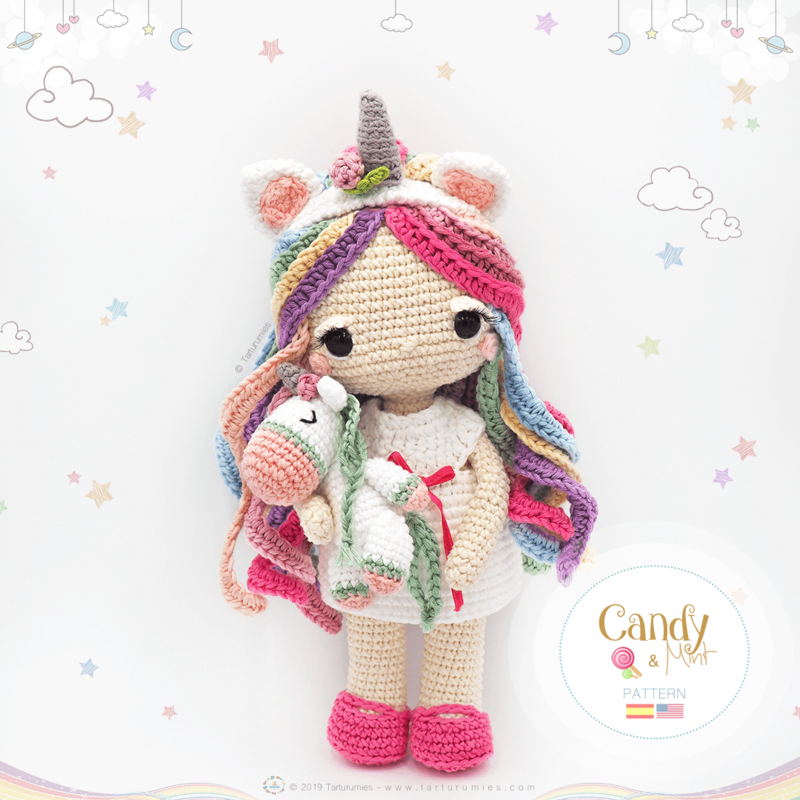 By purchasing this article you’ll receive a PDF with the step by step in 30 pages where you’ll find more than 100 photographs, all very detailed to make your Candy and her friend Mint, in amigurumi. Our patterns are very clear and well organized so you can follow each step with more peacefully. 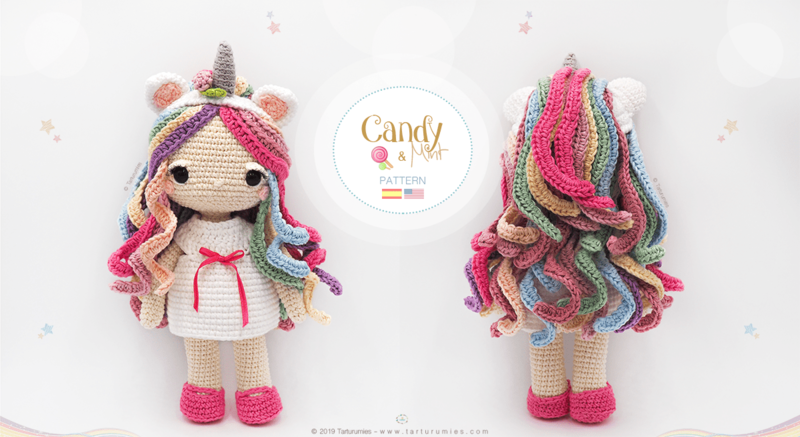 –Candy is about some adorable 28cm high (11 inches approx.) and has a wire structure inside to make her articulated. What do you say? Do you dare to have your own Candy and Mint? To welcome them as they deserve, you’ll find at a 15% discount (Offer valid until 11:59 p.m. on Friday 03/29/19 – Madrid Time Zone – Spain UTC / GMT +2).